When it comes to good food and great times, Hamtramck has plenty to offer. In this recurring column, we’ll take a look at the bars, restaurants and other events that can be found throughout the city. Ironically enough, the first article in this series isn’t about a bar in Hamtramck. 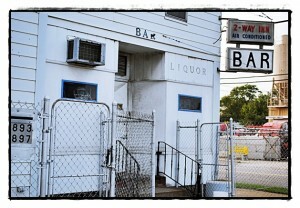 It’s about the 2-Way Inn, located just outside the city at 17897 Mt. Elliot. The reason this bar is featured this week is that it’s about to celebrate a milestone. Besides being one of the oldest bars in the area – and with a history dating back to 1876, maybe one of the oldest in the country – it’s also one of the newest places to hang out on the first Friday of every month. Next Friday (Oct. 1) is the one-year anniversary of the monthly party. It all began about this time last year, when Whiskey in the Jar bartenders Aaron Krul and Anthony Ruacho stumbled into the 2-Way Inn. Although they didn’t know anyone there, after discovering it they realized it had a nice atmosphere and was a pleasant place to drink. Knowing that their own customers would enjoy the place, they approached the owner of the bar with a proposition: give them one night a month to bartend in exchange for an increase in customers. Fortunately for both parties, the deal worked out. After starting out slowly, the event began to get a reputation around town as being one to not miss. Since then, it has hosted bands, birthday parties and other special events. Moreover, the crowd has grown considerably in size and diversity. 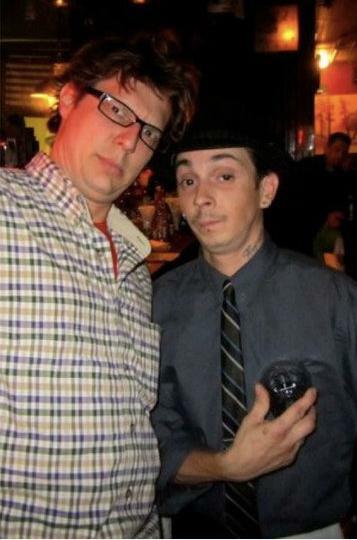 Thanks to some press from The Detroit News and the Metro Times, even the most regular patron is bound to meet a stranger. As previously mentioned, next week marks the one-year anniversary of First Fridays at the 2-Way Inn. To celebrate the occasion there will be musical acts performed by Erin Elvis and Rachel May, S.F.P. and The Fresh Tones. Of course, there will also be great prices on drinks, tons of cool people, and – if someone is feeling generous (hint, hint) – cake. Do you know of a cool bar, a great restaurant or just a nice place to hang out? If you have tips on special events or just want to shine some light on your favorite spot send a message to us at news@thethehamtramckreview.com or call us at (313) 874-2100.